Valet is available 7 days a week: $8.00 during lunch & $12.00 during dinner. A flat fee of $20.00 is applied for guests dining longer than 3 hours. Limited and metered street parking is also available. Meters are free after 6:00 p.m. Monday-Saturday and free on Sunday. 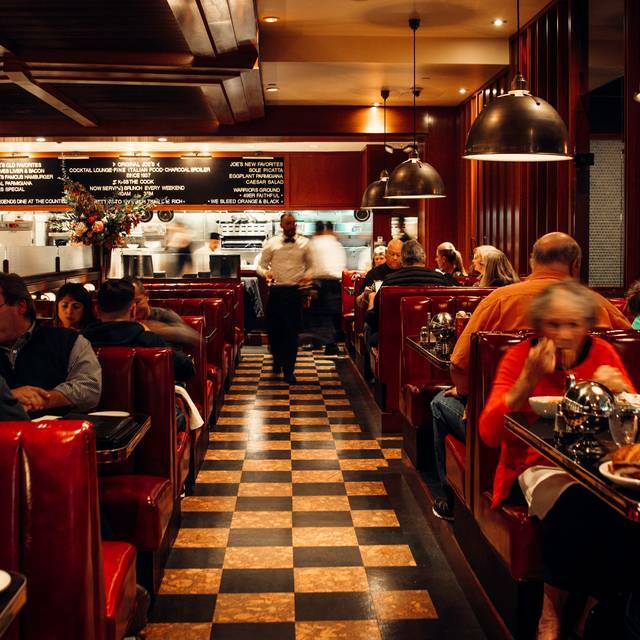 Original Joe’s is the quintessential, classic San Francisco dining experience. A fabric of the City for over 80 years, it is located in the heart of the historic and majestic North Beach, a mecca for natives, tourists, and culinary aficionados alike. 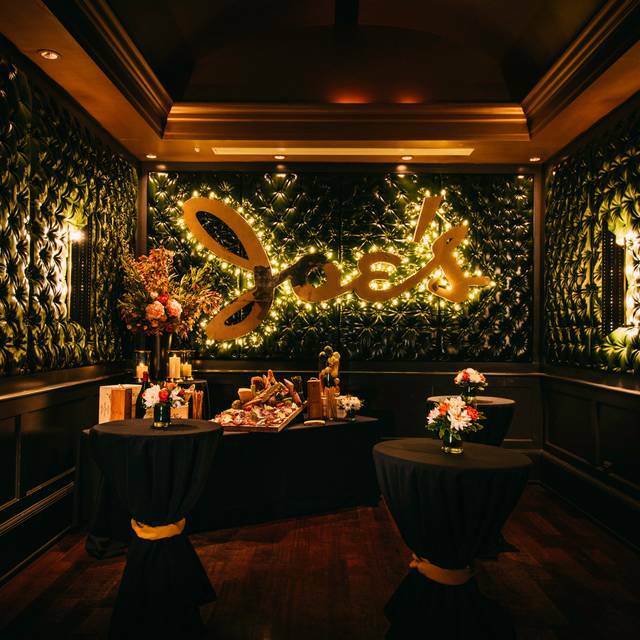 Original Joe’s is the oldest of all existing Joe’s restaurants in the country and is the innovator of what is now nationally known as the “Joe’s Concept”. 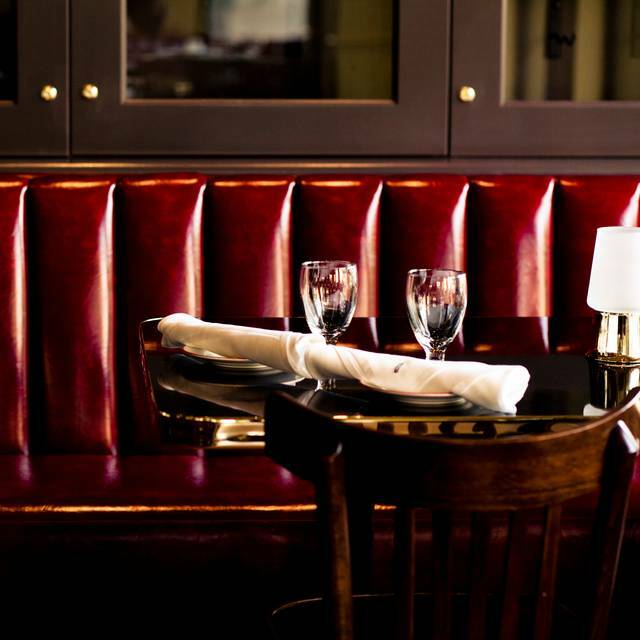 With its signature red leather booths, legendary smooth cocktails, and renowned Italian American menu, Joe’s has come to signify its own Northern Californian category of food and symbolizes classic Italian American comfort food at its finest. I don't think I'd recommend it and I doubt I'll be back there myself. We were seated at a strange booth which literally had a column at the very front section of the table. So, the server had to stand off to either side to talk to us. I understand the desire to maximize the number of tables but this was ridiculous. The salad and ravioli were good but our main course was not. We split the Veal Scallopini Saute and it was extremely salty. We have been there several times before but there are way too many good restaurants in San Francisco to settle for mediocre Italian food. Good food, good service, good experience; a restaurant to come back too. My favorite restaurant in San Francisco by far. Everything seem to go right every time. 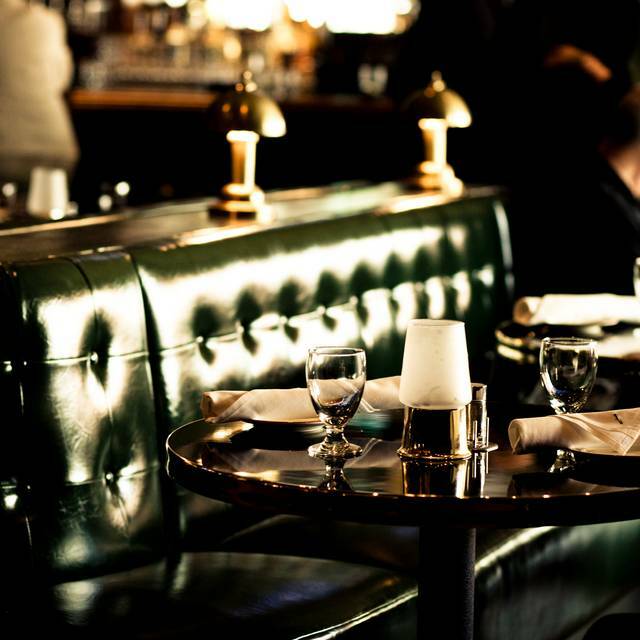 One of my favorite restaurants in San Francisco. Original Joe's North Beach, so classy. The food is phenomenal without being pretentious. The staff is professional without being overbearing. Reminds me of how things should be, good. Excellent find in SF. Had dinner there two nights in a row. Our waiter was wonderful....sorry do not know his name. Two of us gave him credit cards at the beginning of the meal (unknown to each of us the other had done so). the waiter handled it very well, splitting the bill. Our food was delicious as usual. we had a delightful evening......THANKS!! I have eaten there several times throughout the years and it’s never a disappointment always a good time! I came with my 90 year old Dad (GeorgeAnderson) from Seattle and my son (Kyle Kovac) who lives in SF. My Dad has many fond memories spent in San Francisco. Original Joe's is one of them, and was definitely on his "To do List". It was in the old location the last time he went, but that did not dampen his enjoyment one bit. He had been talking about Dimaggio's when we drove around the wharf, and thought that was gone--but alas it lives on in Joe's! All in all we had a good time going back. Love this place. I was a fan when it was located on Columbus Street at Broadway. In other words I've been coming here forever. It never disappoints. This is old school Italian fare. And everything is done to perfection. I would recommend their pastas. This time I had spaghetti carbonara. The. pasta was cooked just right - al dente. The sauce was cohesive with the pasta. The dish came together perfectly! I love going there on weekends when they feature Ramos Fizzes. Their bar knows how to make a good drink; they don't spare on the alcohol. The ambience is comfortable. 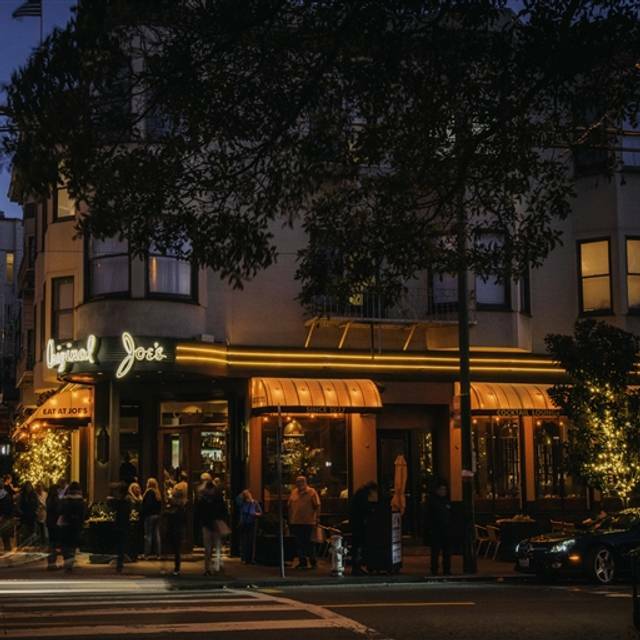 It can get a bit noisy evenings, but quiet compared to most SF restaurants. Plus the valet parking is a huge plus. The portions are large, so you may well have two dinners in one. Great food and excellent service. Would highly recommend. 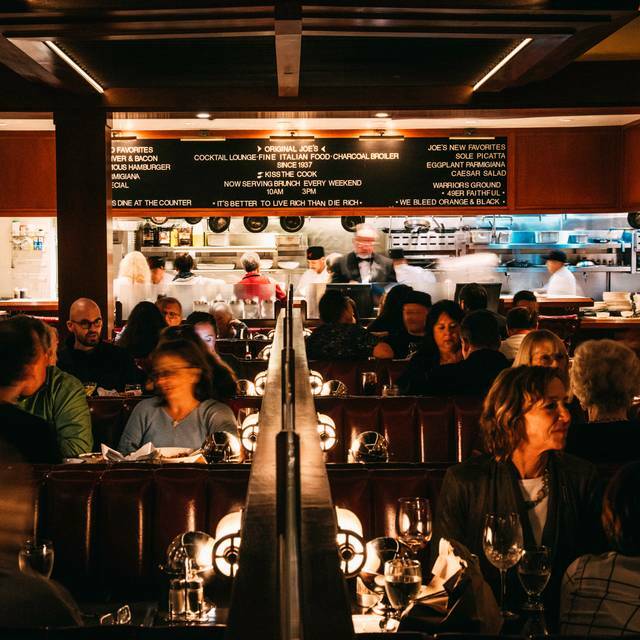 One of our favorite places to go in San Francisco. The greeters and wait staff are always upbeat, nice and efficient. 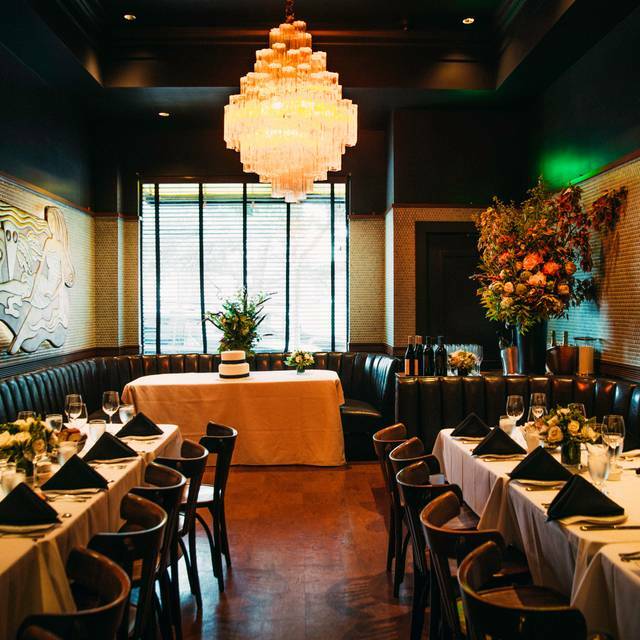 A very thorough menu makes it easy to find a meal that satisfies all in your party. Look forward to another visit soon! The meal was great but the warm butter cake was awesome, I could eat that every day of the year. Original Joe's is a San Francisco landmark. Food is good and prices are reasonable. (for San Francisco) Restaurant gets pretty noisy when it's full, which is most of the time. 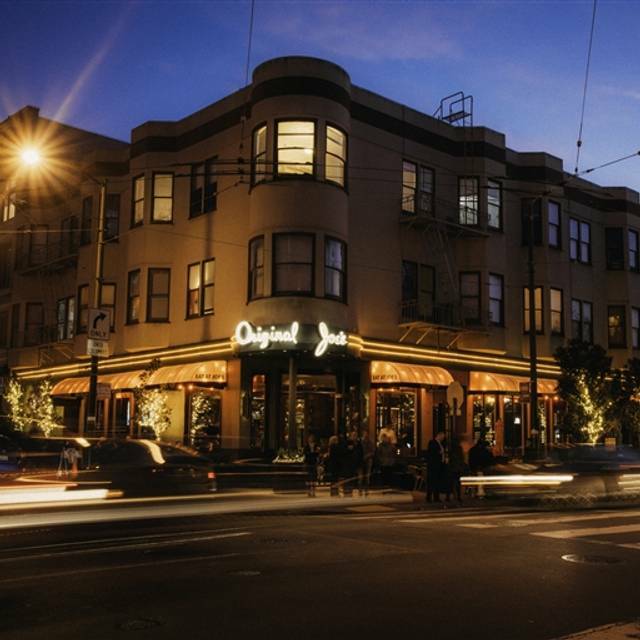 Valet parking is a big benefit, given the problems of finding a parking spot yourself in North Beach. We were seated promptly and welcomed in a very pleasant manner. Our waitperson was attentive & accurate. Our food was delicious & prepared to order! All in all a very pleasant evening. Everything was great--food, service and ambiance! I ordered veal piccata and a side of ravioli. I was afraid that it would be way too much food but the portions were just right. All of us loved what we ordered. Our only regret was that we were too full to order dessert. The server was very friendly and helpful. I am definitely going to go here again on my next trip to San Francisco! Amazing food, amazing drinks, and amazing lovely ambience. Best Italian I’ve had in a long time!!! THe portions were so big we couldn’t eat it all but we sure wanted to. It was delicious. We 🧡 Original Joe’s! One of the bar waitresses was rude, just as we sat down at an empty table she took a “reserved” sign from another table and put it on ours. “This is reserved ok?” I said “Uh no, it’s not ok” a group of businessmen saw what happenened and offered us one of the 2 tables they had. A very nice gal came by and took our bar order, very attentive. Hostess either new or.....but ALWAYS delicious food! Not as good as we’ve experienced in the past. Calamari was over cooked, the salads uninspired, over priced for what we got. Meatballs and lasagna were amazing! The parmigiano chicken, not good for me. We had problems with service. waitress didn’t appear when we needed something. We had to ask for the check 3 times and wait for 15 minutes, not good. Original Joe's has become one of my all time favorite restaurants in San Francisco. 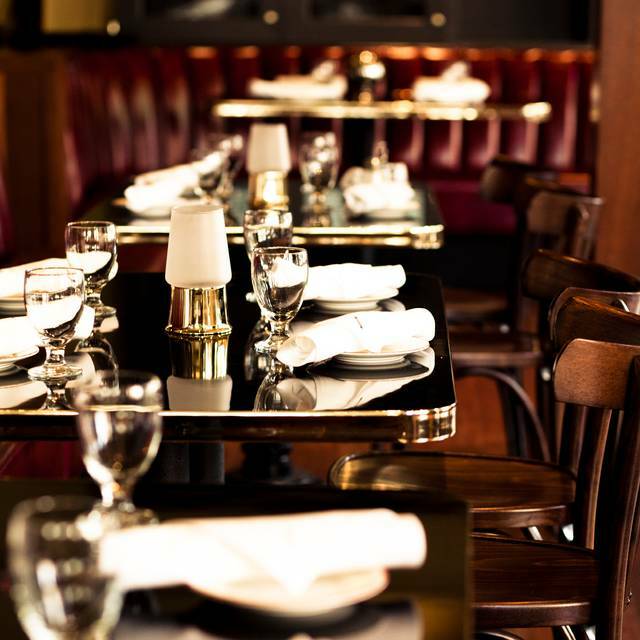 I love the clubby atmosphere, love the staff, and love the food. It's a great addition to the dining scene. We had an incredible experience at Original Joe’s! Waitress was attentive and kind and made excellent recommendations for entrees! Loved everything about this place! Awesome waiter. All the food was great as usual. Veal parmigiana all around! Thank you. After researching where to go to eat in San fransisco, and reading the story of Original Joe's and it's deep family history. I was so excited to get there, it did not dissapoint. One of our favourite meals and restaurant experience of the holiday. Friendly, happy staff, nothing is too mucg trouble to make your visit enjoyable. Beautiful surroundings and delicious food! 10/10 from us! Customer service was amazing. From the time we were seated to the time we left. Our server Colin, did an excellent job presenting both Silver Oak and Twomey wines. Frequent checked on our table making sure we were doing good. Also provided new wines glasses with each bottle. Food was amazing. The steak was unbelievable, so delicious. Love your bread & salad. Food is great. We got seated in the front area which isn't as cool as the interior room. There's much more foot traffic and the vibe isn't as cozy. Our waitress was nice but shouty and seemed to want to tell us stories rather than take our food orders. But it was fine. They did a good job surprising me with a cake my wife brought in earlier. Will definitely be back since it's one of my favorite spots in town but hope to secure a big booth in the inside room rather than a chilly table in the entryway. Great food - the drinks was perfect - service was good. We dined around 3:00 pm on a Saturday. Next time I’m in San Fran I will for sure visit this place again.